The mysterious moai statues of Easter Island have captivated visitors for hundreds of years because of their massive scale and enigmatic roots. 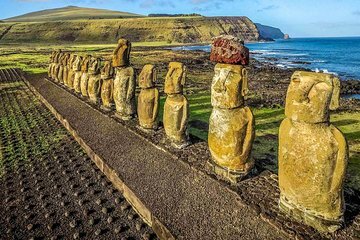 Learn the history of iconic Easter Island archaeological sites on this private tour from your Easter Island hotel or port. Drive around the whole island with your guide, stopping to get out and explore key attractions like the statues at Rano Raraku and the Tahai Ceremonial Complex, and hear the stories that make the sights so famous as you go.